The MS Series is a family of solid-state frequency converters with models from 62.5 to 625 kVA, standard 47 to 500 Hz (optional to 1,000Hz) with a unique master/slave configuration, which allows up to ten 62.5 kVA mainframes to be paralleled in the field. MS Series units are available with Battery Support Systems (UMS Option), providing uninterruptible power source capability. The MS Series is designed to maximize performance, versatility and virtually eliminate downtime. For questions regarding the MS Series and or custom solutions, please contact us directly or try our live chat. Pacific’s unique master/slave configuration allows up to ten 62.5 kVA mainframes to be paralleled in the field. Any mainframe may be designated as the master. A failed unit is automatically disconnected from the power grid providing unmatched mission reliability. The MS Series can be equipped with an optional Uninterruptible Power Battery Backup System to provide backup power in case of utility power outages. The battery support system for a single cabinet UMS installation (62.5kVA, 50kW) consists of 30 sealed, maintenance free, immobilized electrolyte, batteries installed in an open battery rack. The UMS system DC voltage regulator provides for automatic charging of the battery system to maintain the proper float voltage. A battery disconnect center is located on the end of the battery rack. Battery support time at full load (50kW) is approximately 15 minutes. The waveform quality at the end of the battery support time meets the requirements of MIL-STD 1399, section 300A, Types I, II and III power forms. 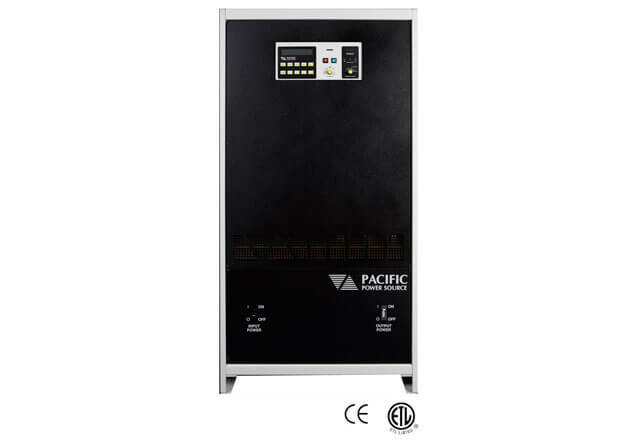 Pacific MS-Series is a family of High Performance Line Conditioners/Frequency Converters that provides highly flexible, yet reliable, AC power ranging from 62.5 to 625 kVA. Using field-proven double conversion methods, the MS-Series offers unmatched power quality without sacrificing size or efficiency. Input AC power is rectified to DC by a special input power supply section. This minimizes input current distortion and prevents the load power factor from reflecting back onto the utility line. The DC is then converted back to AC by a high frequency, solid state, pulse-width modulated switchmode inverter under the control of a highly stable digital oscillator. The result is exceptional system performance with maximum reliability. 350 Amps of Pulse Current is delivered by each 3060-MS for driving non-linear loads.This eliminates the need to oversize power equirements as is common to rotary or low quality PWM power systems. Load Power Factor is not an issue. The 3060-MS will drive virtually any load without damage or risk. Excellent Regulation and response time eliminates load cross talk. Voltage sags common to other conversion methods are eliminated with 150 microsecond response time to a 50% load step. The output recovers to ± 3% of nominal within less than 1/10th of a cycle at 400 Hz. Each 3060-MS is capable of operating as either the master or slave in a multi-cabinet parallel system. Calculated single cabinet MTBF is greater than five years. Mission Reliability is assured. The parallel system architecture is such that a failed slave unit automatically removes itself from the power grid. Should the master unit fail, the operator can select any other paralleled unit as the new master from the front panel and restore system operation. For critical applications under conditions where utility power is unreliable, the UMS version of the MS Series provides uninterruptable battery backed operation for even greater system reliability and guaranteed up-time. Lower Maintenance Costs are achieved through built-in diagnostics that minimize MTTR. Quick and easy repair is facilitated with a small complement of local spares. Input Power Factor is a constant 0.95 lagging, regardless of load. The MS Series actually corrects PF reflected back to the utility, eliminating PF penalties. Low Installation Cost. The MS Series fits through standard doorways. Audible noise is limited to cooling fans. There is no 400 Hz whine that requires noise isolation. Solid state design with a forklift base eliminates the need for concrete pads and vibration isolators common to rotary installations. Power Levels Grow with demand. Units may be added or removed from the power grid as required. Variable Frequency range of 47-500 Hz, as well as switch selectable fixed frequency operation of 50, 60 or 400 Hz is standard on every model (800Hz optional contact factory for more information). External Input is provided as a standard feature. This allows operation as a variable frequency test power amplifier. UPC-32 Programmable Controller Option is available to provide steady state and transient control of output power from the RS-232 or GPIB bus. 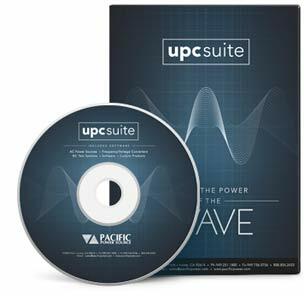 Compatibility with UPC Studio graphical user interface. Measures volts, amps, watts and kVA for each input and output phase. Efficiency is continuously monitored allowing system performance verification. Internal Diagnostics assist in quickly locating failed components resulting in extremely low MTTR. Power Generation circuits are separate from display and diagnostics. A failure in the display logic will not affect output power quality. Output power cannot be interrupted by system interrogation. Audible and Visual Alarms alert the operator to any conditions requiring attention. Local automatic gain control. Remote sense optional. Testing of utility transformers requires the ability to support high magnetization currents and EMF kickback from the transformer under test. The MS series can be sized from 62.5KVA to 625KVA or even high as needed to support high power transformers. With is available range of high voltage output range options, voltages as high as 600V L-L can be supported. With the addition the SCU-UPC arbitrary waveform controller and it’s transient generation capability, complex avionics bus simulation on 400Hz systems can be programmed and executed. Using the available UPC Test Manager Windows software, pre-programmed test sequences for Airbus, RTCA DO160 Commercial aviation and MIL-STD 704 Military aviation test standards are available which eliminate the need to develop your own test programs. For applications requiring wild frequency operation (360-800Hz), the MSA version is available. 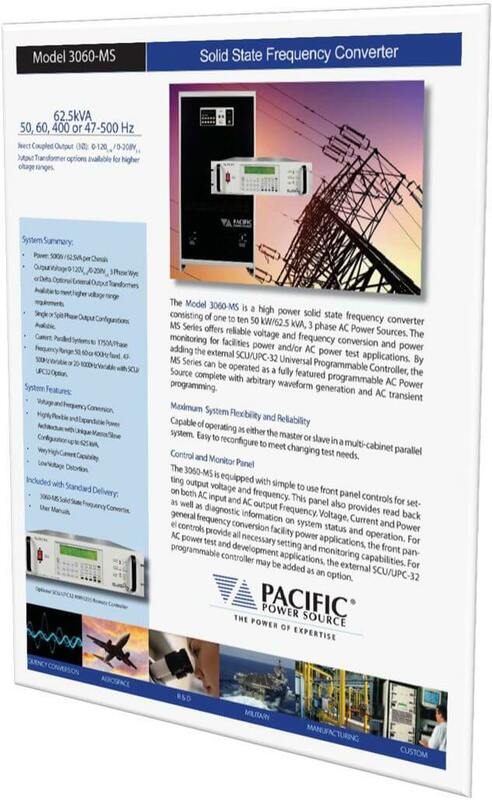 Contact Pacific Power Source Sales for more information on the MSA version. Testing products for immunity to voltage dips and variations and/or frequency fluctuation is made easy on the MS by adding the SCU-UPC programmable controller. 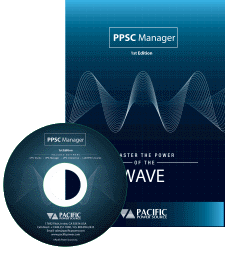 Pre-programmed test sequences for IEC 61000-4 AC immunity tests such as IEC 61000-4-11 are available using the UPC Test Manager windows software. For large scale grid-tied inverter development and test applications, the 3060-MS can simulate the grid to induce common AC utility anomalies these inverters must be able to handle. Since grid-tied inverters push power back onto the MS in this application, a regenerative mode configuration can be used. The MS Series is an excellent source of stable AC voltage for facility wide power applications over the frequency range of 47 to 500 Hz. The standard controller has pre-sets for 50, 60 or 400Hz to lock in the desired nominal frequency. Output voltages up to 600 VAC are provided. 0-120/208, 3 phase. May be loaded either WYE or Delta. Other voltages are available as an option. 175 Arms per phase continuous. 350Apk per phase for non-linear loads. 150 microseconds for 50% load step and 300 microseconds for 100% load step. Any. Unit delivers full rated kVA into any power factor. None. Each phase is independently regulated. Input is fully isolated from output and frame ground. Integral electronic current limiting with auto recovery. Output CB optional. Universal input transformer with provisions for 208, 240, 380 and 480VAC, 3 phase + 10%. 36″W x 30″D x 72″H (see diagram). 1600 lbs., Approximately 1700 lbs. shipping weight.